As the premier global competition for undergraduate students, the Global Student Entrepreneur Awards inspire students to adopt entrepreneurial endeavors by bringing global visibility to student business owners who are innovative, profitable and socially responsible. As an Entrepreneurs’ Organization program, the GSEA operates as a global series of competitions for student entrepreneurs who are attending a recognized high school, college or university, own a for-profit business, are principally responsible for its operation and have been generating revenue for a minimum of six consecutive months. This year’s competition will take place on November 17-19 at the Ewing Marion Kauffman Foundation Center in Kansas City, Missouri, in conjunction with Global Entrepreneurship Week. SunMaxx Solar CEO, Adam Farrell is no stranger to this competition. 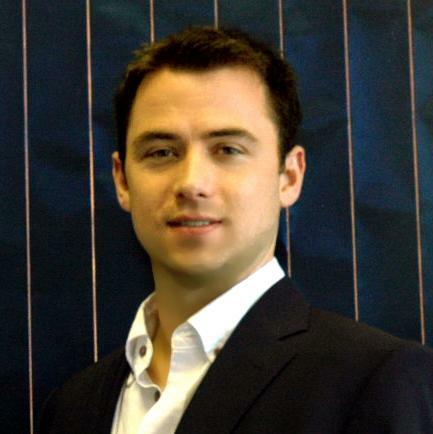 In 2005, Mr. Farrell himself won the award for his endeavors in the solar technology industry. Building on inspiration from a high school science project, he would go on to establish Silicon Solar, Inc., a successful photovoltaics company based in Ithaca, New York. Mr. Farrell, along with his brother Matt Farrell, has since gone on to form SunMaxx Solar, the solar thermal division of Silicon Solar, Inc.
Mr, Farrell has received the honor of being invited to be one of the judges for the final round of competition. Final round judging will take place on Thursday, November 18, with Gala Awards Dinner announcing the winner later on that same evening. SunMaxx Solar is an industry leader in the manufacture and distribution of turnkey solar thermal solutions for domestic hot water and space heating systems. Our prepackaged solar hot water and space heating kits are specially designed for either commercial or residential applications. For more information, please visit SunMaxx Solar online at www.sunmaxxsolar.com. You can also contact a solar thermal specialist at 1.877.786.6299 or connect with SunMaxx Solar on facebook or twitter.